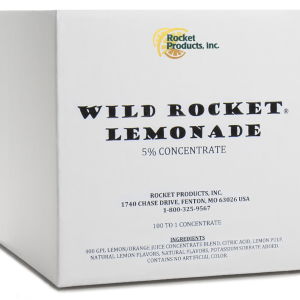 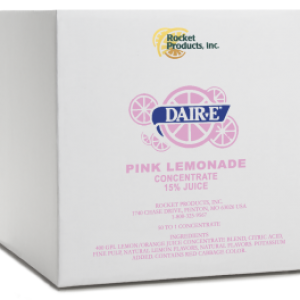 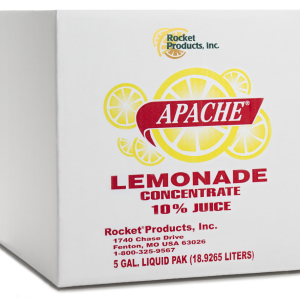 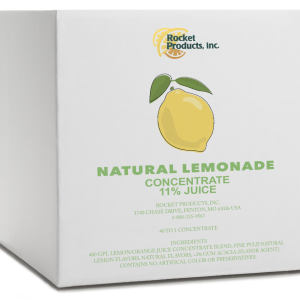 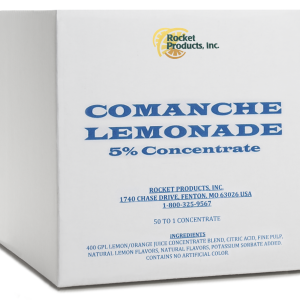 Lemon Concentrate Products – Rocket® Products, Inc. 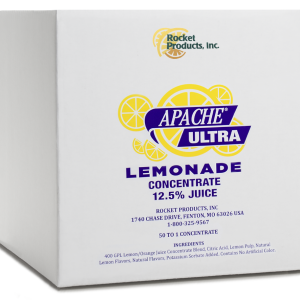 Finished Product % Juice: 11% Dilution Ratio: 40/1 Available Sizes: 5-gallon cubeInfo400 GPL LEMON JUICE CONCENTRATE, FINE PULP, NATURAL LEMON FLAVORS, NATURAL FLAVORS, <2% GUM ACACIA (FLAVOR AGENT). 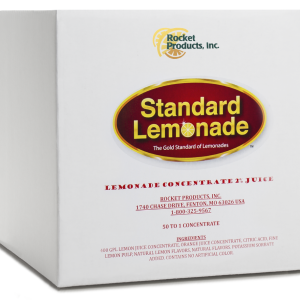 CONTAINS NO ARTIFICAL COLOR OR PRESERVATIVES.